Unquestionably, one of the best parts of Hanukkah is the prevalence of latkes during the 8-day celebration. But even the most dedicated spud fanatic can get a little "latke'd out" as the week drags on. Here are some alternative preparations for latkes that will give you some variety in your celebratory food choices throughout the Hanukkah season. Not too far off the potato-beaten-path, these curried sweet potato latkes from Epicurious are not only delicious and nutritious, they're beautiful as well. Eschew the traditional sour cream topping and dollop on some plain Greek yogurt instead: the tanginess of the yogurt is a perfect complement to the spicy curry in the latkes. 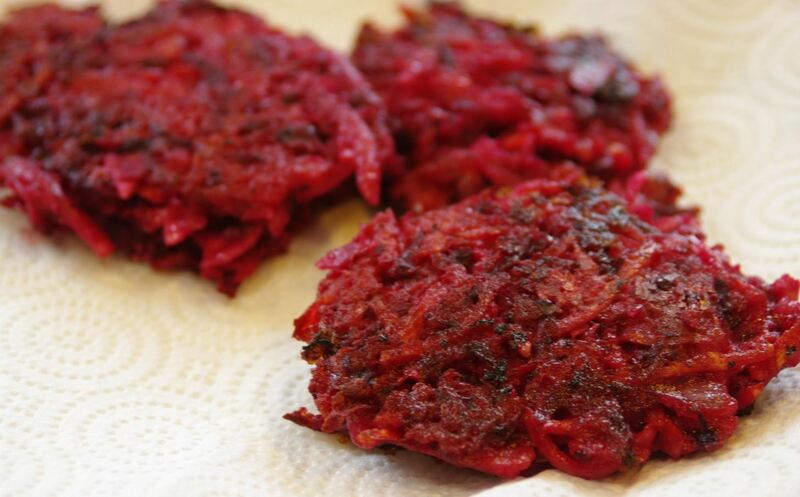 Speaking of beautiful, these brilliant magenta latkes look almost too pretty to eat. They are part of a collection of recipes for rainbow latkes, so if you are feeling inspired to make your celebration of the Festival of Lights a bit more fabulous, you could make them all! Amy Kitzer of What Jew Wanna Eat—best blog name ever—suggests topping the ruby-red disks with cranberry sauce; you get the sweetness that is a perfect foil to the earthy beets while losing none of the dazzling color. Noted Boston chef Rachel Klein, writing for Food & Wine Magazine, has a simple yet incredibly elegant recipe for zucchini latkes that makes wonderful use of the humble green squash. 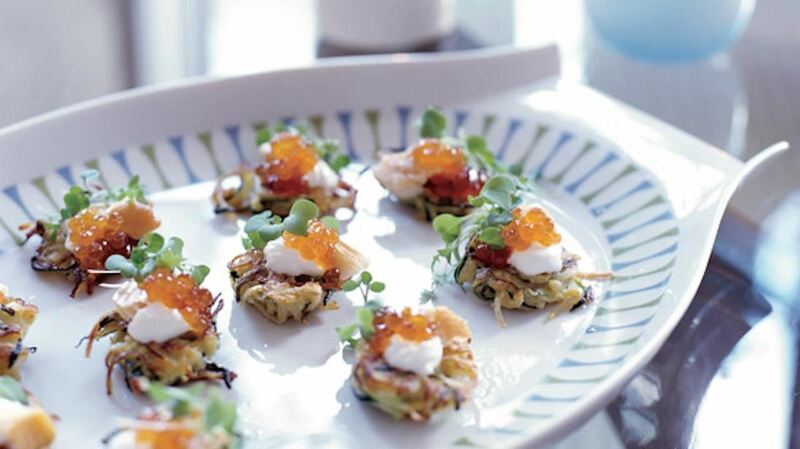 She tops them with spicy-sweet red pepper jelly, smoked trout, and golden fish roe (AKA caviar) for an appetizer or side that is sure to wow your guests. Real Simple has a—you guessed it!—really simple recipe for making latkes in the oven, thus eliminating a lot of the fat and saving you from having to hover over the stove. While part of the celebration of Hanukkah is indulging in foods fried in oil, there's nothing that says you can't eat a little healthier while enjoying the traditional Hanukkah treat. And topping these golden potato pancakes with this homemade baked applesauce (courtesy of my mom, Evie Lieb) keeps the healthy trend going. 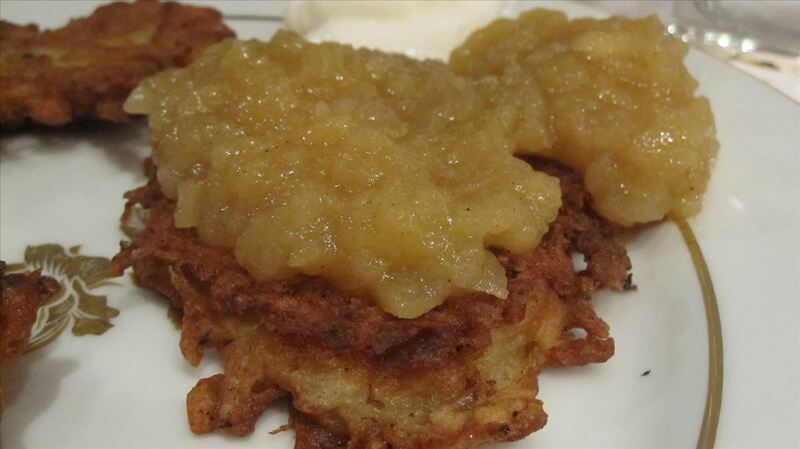 While potato latkes are traditionally topped with applesauce, this sweet variation actually uses apples in the latkes themselves. 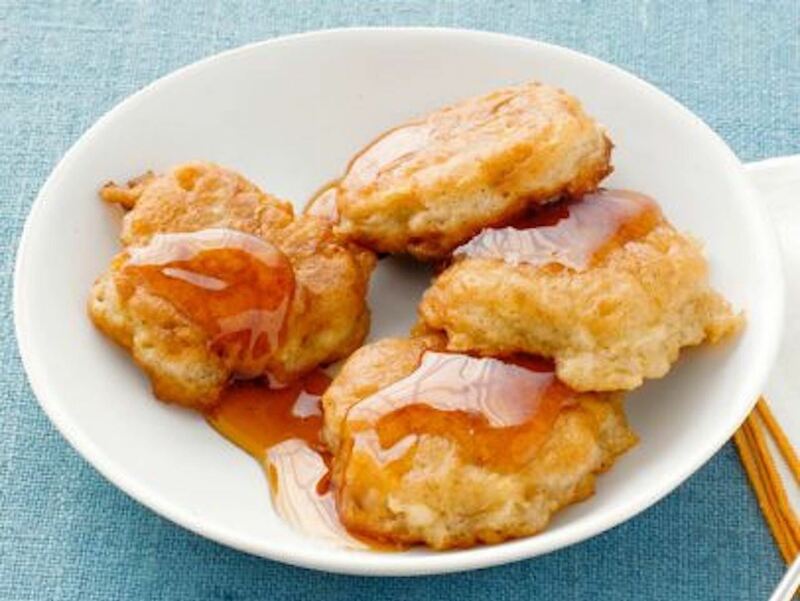 Nigella Lawson suggests drizzling them with maple syrup, so if you want to serve a special Hanukkah breakfast, this would certainly be a crowd-pleaser. This is really just the tip of the iceberg when it comes to latke variations and topping alternatives. There are lengthy lists of ways you can up your latke game and take the fried monotony out of your Hanukkah celebration. What are your personal favorites? 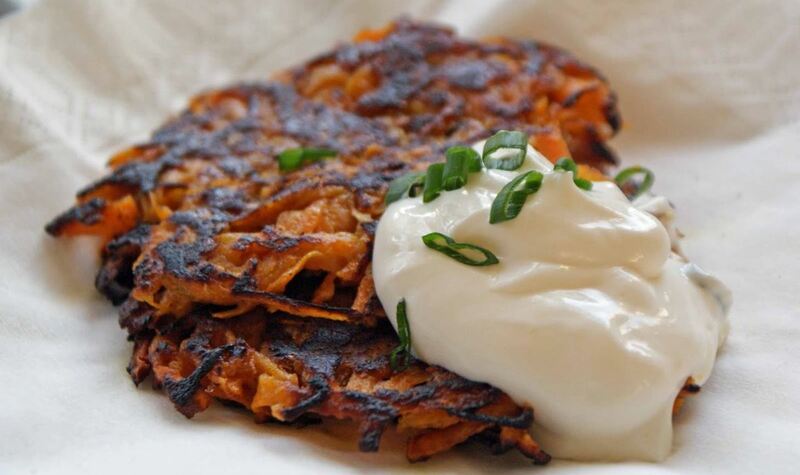 We'd love to hear about your family's unique latke recipes, so feel free to share in the comments. Deep Frying Without a Deep Fryer: Which Pan Is Best for the Job? The Food Hacks Guide to Making Chips for Fall... Or Any Season!